Thank you for coming to my site and I hope to be of service. Your wedding ceremony is the absolute creation of your marriage and should be as special and unique as your love for one another. Your family and friends will be there to celebrate and honor your loving relationship as they bear witness to your transformation into a married couple on that day. Your officiant is a guide for this ceremonial journey. A guide you should trust and enjoy, this is a celebration after all. I would love an opportunity to speak or meet with you to see if I can be your guide as you take this most important step in your path of life. No wedding ceremony I perform will ever be the same. I will meet with you and your intended several weeks prior to the wedding and get to know your history together as well as your desires for the ceremony. I will craft your ceremony to be personal to the two of you and memorable for your family and friends. A tailored event that is only yours, lasting only a short time, but forever in your memory of that day. For every ceremony I officiate, I would like to meet with you and your intended several weeks before the event for a tailoring session. This will allow me to get to know the two of you as well as a chance for you to share your vision for your special day. 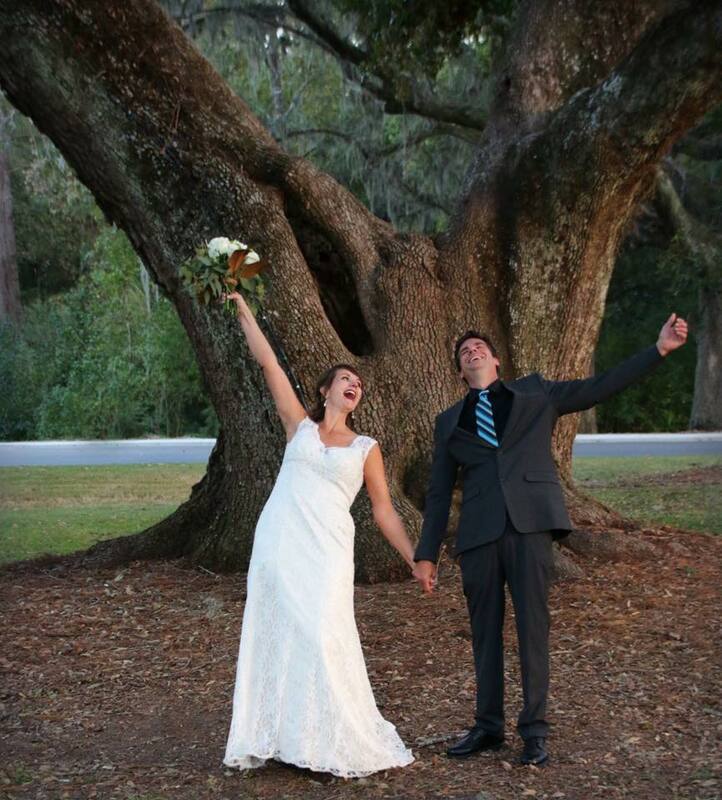 My pricing is based on celebrations held in Charleston, Berkeley or Dorchester counties... But I do love a road trip, so let me know what you desire! Charles has lived in the Lowcountry for over thirty years. Originally from San Diego, CA, he likes to say that he was born in the south... just the wrong coast! His varied travels and experiences in life have given him a unique skill set that allows him to be right at home in just about any social setting. His grand stature and speaking poise make him a perfect officiant. Ordained as a reverend by the Universal Life Church he supports the union in marriage of any two people who love one another. He believes in Marriage Equality regardless of race, religion, or gender preference. He has been married to his lovely bride, Carroll for over twenty years. They have one son, Dawson who is ten yeas old and hopes to grow up to be a Aerospace Engineer. Have a question? Want to talk? Drop me a line! Some of the talented people I love to work with. Samantha and her team of, what I call "wedding ninjas" make sure that every detail is covered and your special day is worry and stress free. Samantha is has an eye for beauty and will work with you to create an event that you will be amazingly proud of. Her hard work and organizational skills are only matched by her calming demeanor. Sam and her team are unflappable and always ahead of any potential hiccup.... So you will be free to bask in your special day, worry free! His work is personal, beautiful, and timeless. An engaging and vibrant man who is able to capture moments with his lens that mere mortals miss. His images have graced the pages of Brides Magazine, Southern Living Weddings, and Charleston Wedding Magazine, just to name a few. A full service event planning firm with the talented Chauncey Finch at your service. Creative, organized, and personal. B&B Charleston will make your event exceptional... handling every arrangement and detail so you and your guests can focus on what is important... YOU! When you see the final cut of your wedding video by you will swear that Nicholas Sparks may have helped storyboard your wedding. Intimate glimpses of your special day. The special and unexpected moments captured for you to revisit and share. Shelby Ring has an energy and passion that is infectious, and her team is professional and personal. Together they always seem to capture that special, candid moment that you will treasure forever.